This casual reclining sofa is a great way to update your home. 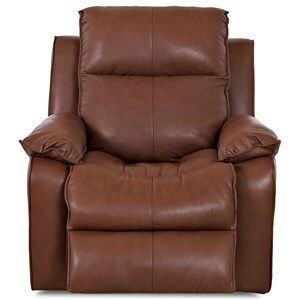 Wide pillow arms sit on either side while the bucket seats and split back are easy to sink into. 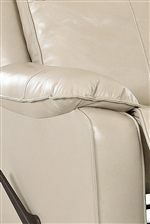 Easily extend the padded chaise seat with the exterior handle. This sofa is a great addition to your family living room, basement or media room where you can gather with friends or family to comfortably spend time together. 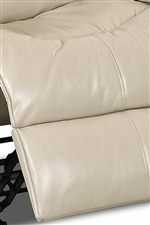 The Castaway Casual Reclining Sofa by Elliston Place at Morris Home in the Dayton, Cincinnati, Columbus, Ohio, Northern Kentucky area. Product availability may vary. Contact us for the most current availability on this product.